Will Faye get her happy-ever-after or will bittersweet secrets ruin the recipe for love? Since Faye met her gorgeous Aussie boyfriend Dan, they've travelled all over the world to meet in amazing, crazy and romantic locations. They've eaten gateaux in a chateau, chocolate torte in a moonlit port, and even had stöllen kisses in a sparkling Christmas market. Neither of them wanted to settle down... until now. When Dan asks Faye to marry him and to move to Australia it throws a real spanner in the works. Faye's daughter Emma needs her here, so moving to the other side of the world - even for a hunk like Dan - simply isn't an option. Is it? Faye's been down the marriage road before and it ended up with her having Ryan Gosling fantasies while her ex-husband obsessed about the plumbing. Is that what she has to look forward to? Is she ready to end her adventure? And even if she is, how can she be sure Dan is the right man for her? A delicious romantic comedy about secrets, second chances and following your heart. 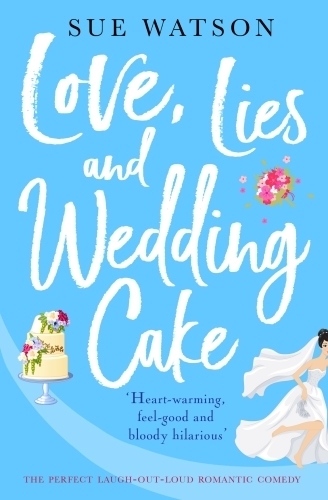 Perfect for fans of Cathy Bramley, Jill Mansell and Sophie Kinsella.